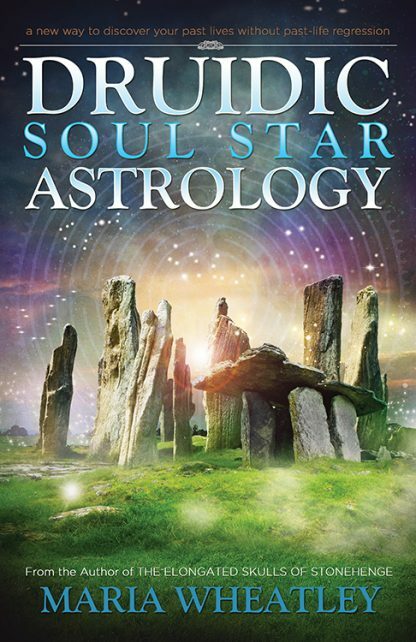 Druidic Soul Star Astrology is a new and exciting way to discover your past lives without the need for regression. Some people find the idea of past-life regression too intrusive and shy away from it. Although past-life regression can offer direct understanding of past lives, it is not for everyone�and this book is. It is easy to grasp because it uses an intuitive approach based on ancient Celtic wisdom, so you don�t need to be an astrologer. You will learn how to convert the traditional circular birth chart into a six-pointed sacred star that becomes a karmic map. Certain planets are placed within the star map that describe past lives, traits, experiences, and influences. The result reveals positive and challenging karmic traits that enable people to grow spiritually and face their future with certainty. Maria Wheatley is an author and professional dowser who has been studying dowsing, astrology, and past lives for over 20 years and is the founder of the Avebury School of Esoteric Studies.